If you have crooked teethand/or a misaligned bite (an underbite or overbite), there are a variety of treatments that can help straighten teeth, including braces and retainers.Your dentist in the Dr Donan, Fresno CA clinic will ask questions about your health, conduct a clinical exam, take impressions of your teeth, take photos of your face and teeth, and order X-rays of the mouth and head. An appropriate treatment plan is made based on analysis of the gathered information.In some cases, a removable retainer will be all that’s necessary. In most cases, however, braces will be needed. If braces are indeed the solution for you, the dentist at Dr Donan, Fresno CA clinic prescribe an appliance specific for your needs. 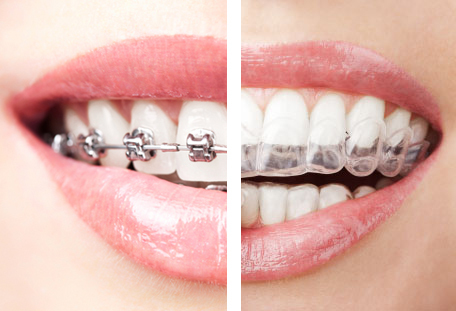 The braces may consist of bands, wires, and other fixed or removable corrective appliances. No one method works for everyone. Some of the adjustments Dr Donan, dentist in Fresno CA may make to your braces may make your mouth feel sore or uncomfortable. When needed, over-the-counter pain relievers like Motrin or Tylenol can help relieve the pain. If you always experience a lot of pain after your braces are adjusted, talk to your dentist Dr Donan, in Fresno CA about it; he may be able to make the adjustments a bit differently.